James Whitcomb Riley at age 28 as he went to work for the Anderson Democrat. 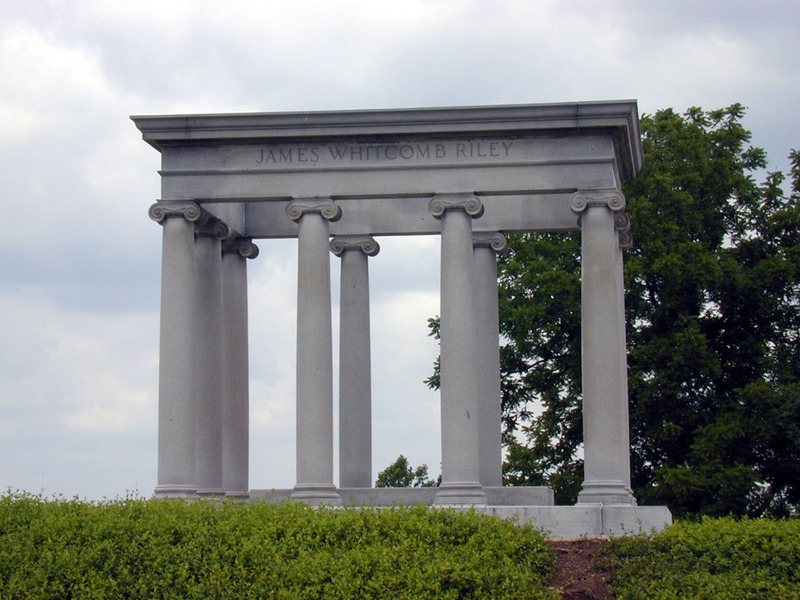 James Whitcomb Riley was born in 1849 in Greenfield, Indiana. He tried out many jobs in his youth, including sign painting and acting in a traveling medicine show. In 1877 he went to work for the Anderson (Indiana) Democrat as a writer. Frustrated with the rejection letters for his verse he was receiving from eastern publications, he wrote a poem called “Leonainie” signed “E. A. P.” – for Edgar Allan Poe. The poem was quickly circulated, thus providing proof to a smug Riley that only poems written by “a genius known to fame” could be published. When he revealed that it was a hoax he was promplty fired – but not because of the deception. The editor of a rival paper, the Kokomo Dispatch, was the one who had linked poem to Poe, thus achieving attention the editors of the Anderson Democrat thought they deserved. Riley was despondent and his creativity was drowned in the tide of criticism. His spirits turned, however, when several critics realized the beauty of the verse. One stated, “Those who love witch tales and eerie things like to think that the soul of Poe worked its way up through Riley in the ‘Leonainie’ poem.” A young college student from Sandusky, Ohio set the poem to music and sang it beautifully for a stunned crowd – which included Riley by way of some complementary tickets – at the Masonic Hall in Greenfield. His talent and notoriety soon landed him another job with the Indianapolis Journal writing poetry under the pen name, “Benj. F. Johnson”. Needing encouragement, he sent some of his work to Henry Wadsworth Longfellow, who promptly sent back a short but very encouraging letter. This spurred Riley into some of his best work – some of these poems were published into a book entitled “The Old Swimmin’ Hole and ‘Leven More Poems” in 1883. The most famous of these , “When the Frost Is on the Punkin” established a unique voice in poetry: the use of down-home Indiana dialect and a knowlege of rural life to paint pictures of childhood in simple times. As Americans struggled with the impact of the industrial age, they looked for reminders of their childhood and what had been lost – and Riley would be there. When the frost is on the punkin, and the fodder’s in the shock! ~ “When the Frost Is on the Punkin” by James Whitcomb Riley; a poem about harvest time on the farm. “Punkin” is a colloquial version of “pumpkin”. “Fodder” is livestock feed, as in dried corn, and a “shock” is a heap in the field. “Guineys” are Guinea fowl, small birds raised for their meat. “Tossels” are corn tassels, the flax-like ends of corn ears. “Furries” is furrows, “meader” is meadow, and “wimmern-folks” is “women-folks”. “Mince” refers to mincemeat pie, and “souse” refers to pickled foods. “Boardin’” a meal, as in the “board” part of “room and board”. He achieved great fame for writing two poems in particular. “Little Orphant Annie”, was probably the most popular – a poem about a young girl who comes to live with the family. It was later adapted into a Broadway musical, a comic strip and several movies. The second poem, “The Raggedy Man” has an interesting side story. Graphic artist and illustrator Johnny Gruelle, who moved to Indianapolis from Arcola, IL around the turn of the century, would become friends with Riley through his parents . Later in life, his daughter would find a small faceless doll in her grandmother’s attic. This doll would inspire Gruelle to create a new cartoon. Reaching for a book of poems by Riley, he compressed the titles of two of his favorites, “The Raggedy Man” and “Little Orphant Annie” to create “Raggedy Ann” – a story and doll that is known and loved by millions to this day. 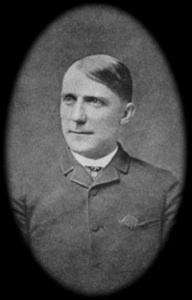 Riley also authored several other books of poetry oriented to the young, which gained him the reputation as the “children’s poet”. The grave atop Crown Hill, at the highest point in the cemetery. 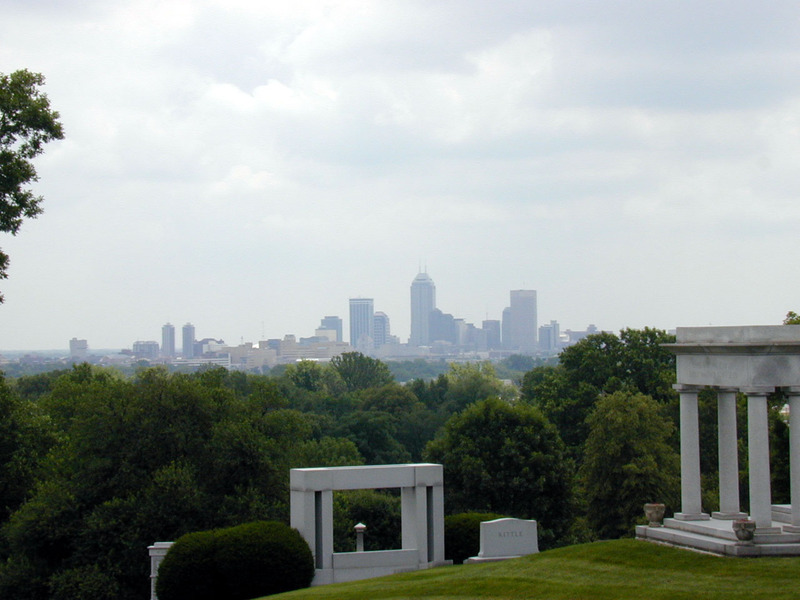 Appropriately, it has a spectacular view of downtown Indianapolis. 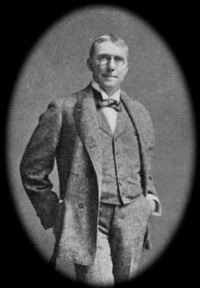 James Whitcomb Riley later in life. When he died on July 22, 1916, tens of thousands of people walked past his casket as he lay in state under the rotunda of the Indiana State Capital. He is buried in section 61, lot 1 at Crown Hill. Besides several schools and parks, the world-renown Riley Hospital for Children in Indianapolis is named after him. “The Song Of Yesterday”, a poem about growing old. And summer roses — where away?